Planning your first trip to a new region is exciting but it can be a daunting task, especially one as big and full of interesting and exciting places as Europe. With limited time it can be hard picking which places you should see this time and which ones might be better left for next time. 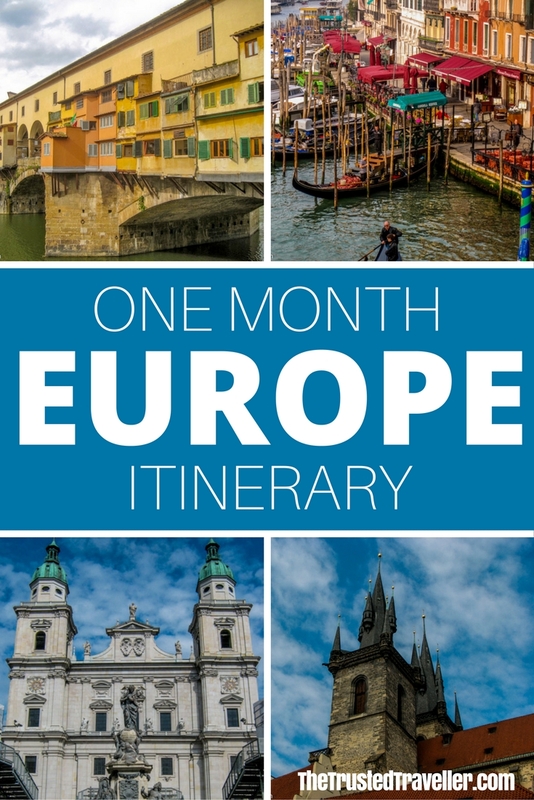 There are a few factors that I have considered when putting together this first timers one month Europe itinerary. Firstly, this itinerary is about giving you enough time in each destination to see the main sights but also have some time to just soak it all in. Secondly I considered logistics and how easy it is to get from one place to another. While Europe has many transport options that all make it simple to get around, when you only have one month you don’t want to be spending a week of that getting from place to place. Finally, I considered popularity. A lot of people are reluctant to visit the popular places because they can be overcrowded and a touch touristy. Me on the other hand, I like to embrace it because really these places are popular for a reason, they are awesome! It is nice to get off the beaten path from time to time but I believe that most people visiting Europe for the first time want to experience the places and sights everyone is talking about. 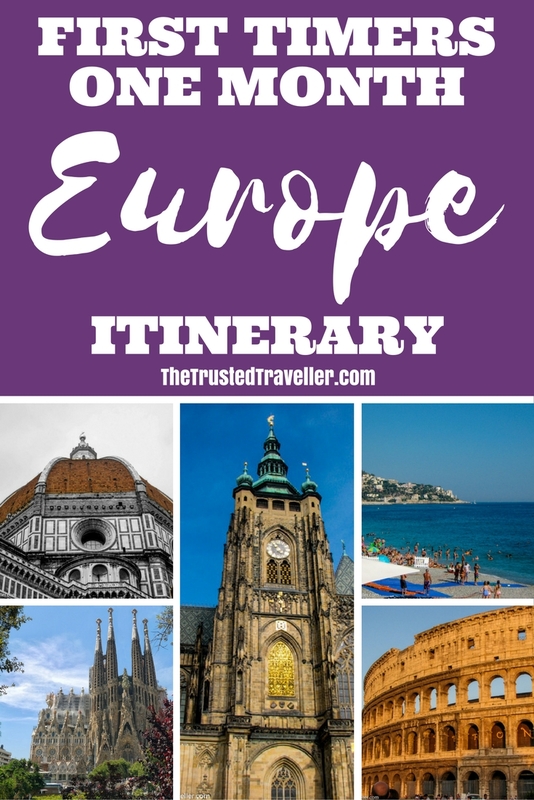 This itinerary is by no means comprehensive, but what it does give you is an overview of what I think you shouldn’t miss on your first visit to Europe. Feel free to use this as a guide, or a starting point and plan from there by adding more stops or removing any places you don’t fancy. In Europe I have travelled by bus, plane and train all at different times and for different reasons. For this itinerary and for the easiest and most convenient way to travel, I suggest using the extensive network of trains. I’m a big advocate for train travel. And while it isn’t always the cheapest mode of transport, it is usually the most convenient. The train will usually pick you up in the centre of a city and drop you in the centre of the next. The biggest pluses to train travel for me are how comfortable and scenic it is. Most trains come in 1st and 2nd class with 2nd class being the equivalent of 1st class in most other parts of the world. Big picture windows and on some trains, almost entirely glass compartments, help you take in the view while you’re relaxing in your comfortable air-conditioned seat. High speed trains also make train travel in Europe the quickest way to get around on a lot of the routes. Some trains travel at over 300km/hr! For the itinerary below getting a rail plus is the most cost-effective and simplest way to go in terms of tickets. In most cases the pass is all you will need to board any train (except overnight sleepers and high-speed trains) at any time of day giving you the flexibility to move onto your next destination when the time suits you most. Prices in the above table are per person in Australian Dollars and correct at time of publishing. Children travelling with 2 or more adults travel free. 10 or 15 days in 2 months basically means that you have 10 or 15 travel days over a 2 month period. A travel day is a 24 hour period. Say you jump on a train at 9:00am one day, your travel day will end at 9:00am the next day. On each of those travel days you’re allowed unlimited connections. With the itinerary below, a 10 days in 2 months pass covers all 10 travel days outlined below. If you are adding any more days, then the 15 days in 2 months pass will be required. If you are cutting some stops out, you may need to look into whether point to point tickets may be a cheaper option. One thing to be aware of is that an extra seat reservation and fee is required on sleeper and high-speed trains. The agency where you buy your pass (more on that below) will be able to sort out those reservations for you. European rail passes are not available to buy in Europe, so it is necessary that you are organised and buy them before you leave home. Visit the Rail Europe website in your country using the links below to purchase tickets and rail passes. Paris is the perfect place to get an art, culture and food fix. Check out some of the best museums in the world, The Louvre and d’Orsay to name just two. Take a ride up the iconic Eiffel Tower for views over the city. 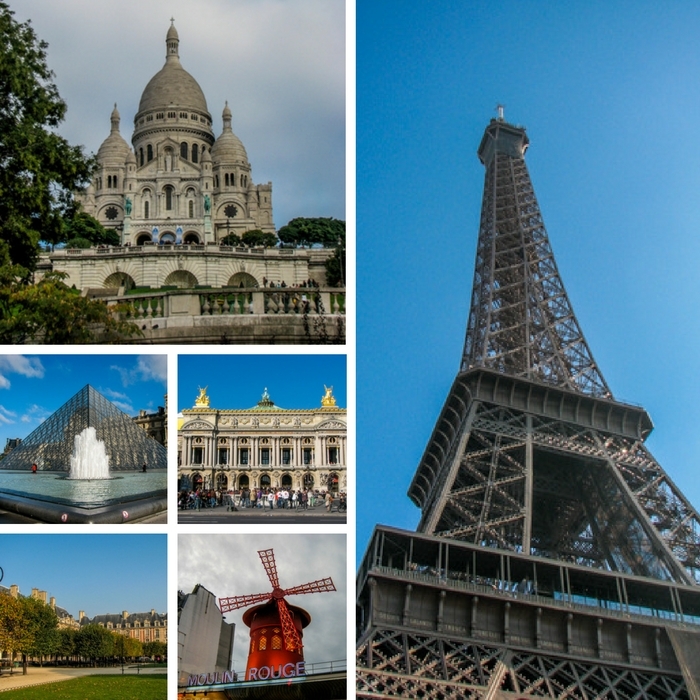 Cathedral lovers will love Notre Dame, Saint Chapelle and Sacre Coeur. For a bit of people watching, take a stroll down the Champs Elysee or through the Tulleries and Luxembourg Gardens. And why not add a half day trip out to visit the Palace of Versailles. Hop-on-Hop-off bus tour – see it all in 1, 2 or 3 days. Louvre Museum – pre-book and skip the queues! Illuminations Cruise – see the city of lights at its best. Arc De Triomphe – don’t waste time in line. Eiffel Tower – priority access to the top. Palace of Versailles – tour the palace that trumps them all. 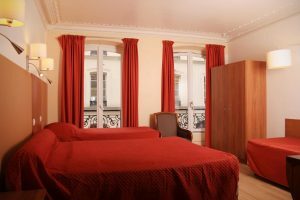 Located in the Latin Quarter, close to Luxembourg Gardens and steps from the metro. Free wi-fi, breakfast and laundry facilities. Great budget option! 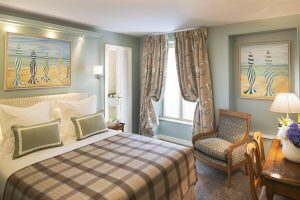 Located in a pedestrian only street, just steps away from everything Paris has to offer. Air-conditioned rooms comfortably furnished rooms with private facilities and free breakfast. This Paris icon is located right in the heart of o the city. 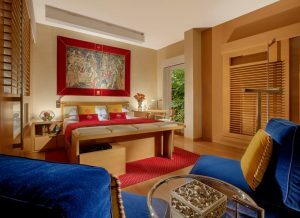 It features impeccable rooms with onsite restaurants, fitness centre and spa. Enjoy the hotels stunning gardens. Or why not book an Airbnb stay. Use this link to get up to $45AUD off. Croissants for breakfast, baguettes with fresh cheese and cured meats for lunch and warming soups, casseroles and steak frittes for dinner. And then there’s the sweets. Delicate macarons, eclairs and other French pastries can be found in the most amazing smelling shops. Or pick up a crêpe smothered in nutella chocolate spread from vendors on the street. 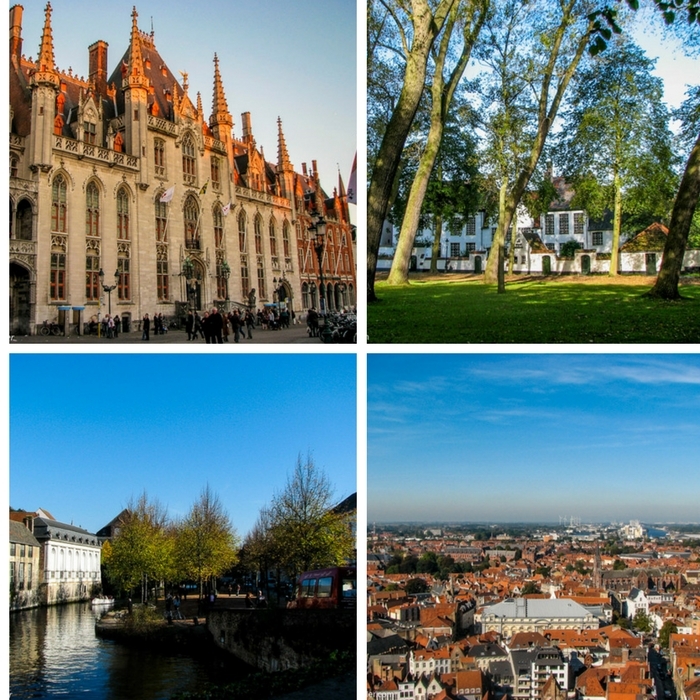 Paris to Bruges on a direct train service takes about two and a half hours. More frequent services run with one change in Brussels and take about the same amount of time. Take a wander around the Old Town, through the Main Market Square, and down the cobblestone streets past beautiful medieval architecture. Cruise the romantic canals past some of the city’s most romantic spots. Climb the steps of the Belfry for views over the city. Visit the Church of Our Lady to see Michelangelo’s Madonna and Child. Book a Beer and Chocolate Tasting Tour – 3 hours with a private guide. Just minutes walk to the market square. Comfortably furnished with each room being individually themed. Enjoy complimentary breakfast in the morning. A few minutes walk from the market square. This hotel has a terrace, free wi-fi and on-site bar. Rooms come fully equipped and are comfortably furnished. This elegant boutique B&B is just steps from the centre of Bruges. 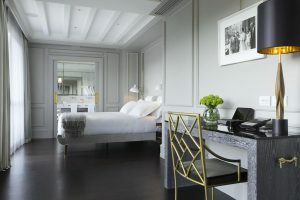 The luxuriously appointed rooms are compliments by free wi-fi, breakfast and a garden for the exclusive use of guests. Chocolate, chocolate, chocolate! And once you’re sick of chocolate, try some waffles (with chocolate of course!) or Frites which are hot fries with mayonnaise. Yum! Bruges to Amsterdam by train requires one change in Brussels with the journey taking no more than three hours. You can’t come to Amsterdam without checking out its famous canals. Whether it’s on foot, abroad a canal boat or riding a bike, you could spend your whole three days just exploring them. But if you want to fit in a few more things, I highly recommend Anne Frank Haus to learn about the young woman and her family’s story. You can also visit a few other world-class museums like the Rijksmuseum, Van Gogh Museum and Rembrandt House to name a few. Or take a cheeky walk around the famous Red Light District at night. Red Light District Walking Tour – 1.5 hour night time walk through Amsterdam’s most colourful district. Rijksmuseum Museum – pre-book and skip the queues! Van Gogh Museum – don’t waste time in line. 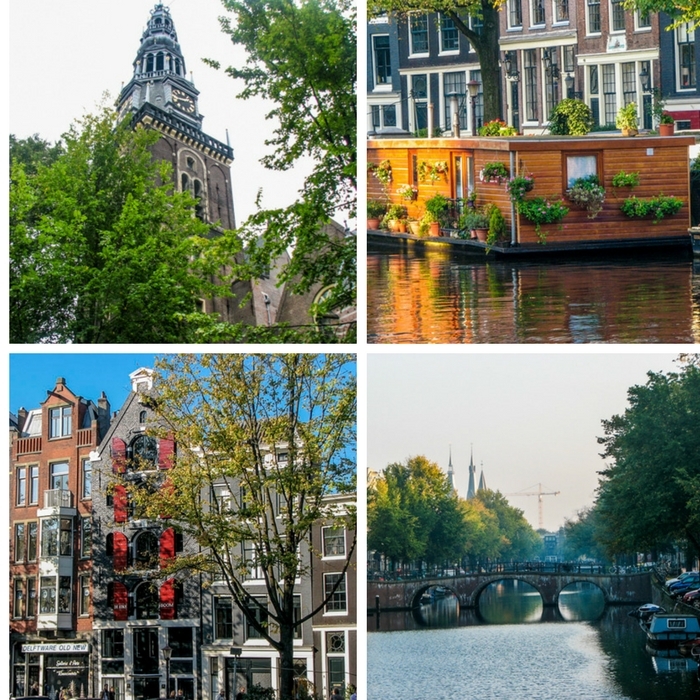 City Canal Cruise – see the city from its famous canals. Zaanse Schans Windmills – 3 hour tour to see this iconic Dutch sight. Countryside Bike Tour – see windmills, cheese and clogs on this 3 hour tour. 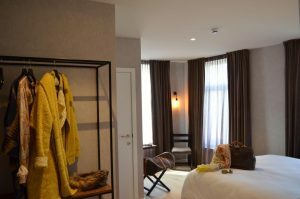 Located right in the heart of the city centre. The simply furnished rooms are clean and comfortable. Large windows with lots of natural light and private bathroom. 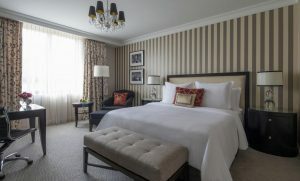 Boutique style hotel with free wi-fi, on-site bar and comfortable furnishings. Located steps for all of Amsterdam’s best attractions. Set on the canal in a UNESCO World Heritage palace just steps for everything. Luxury furnishing and facilities including on-site spa and indoor swimming pool. For some quintessential Dutch food, find yourself some raw herring, if you can stomach it. Grab a Kroket from a vending machine or some Frites from a street vendor. Or take a seat in a café to order some Erwtensoep, traditional split pea soup with other vegetables and pork. And to finish with something sweet try the poffertjes which are mini pancakes or stroopwafel, thin chewy waffle like biscuits. Amsterdam to Berlin can be done by direct train or with one change in Hanover. Travel time is about six hours. Make a beeline straight to the iconic Brandenburg Gate to start your visit. From there it’s an easy walk to most of the city’s must see sights like the Memorial to the Murdered Jews of Europe to reflect on the city’s terrible history. 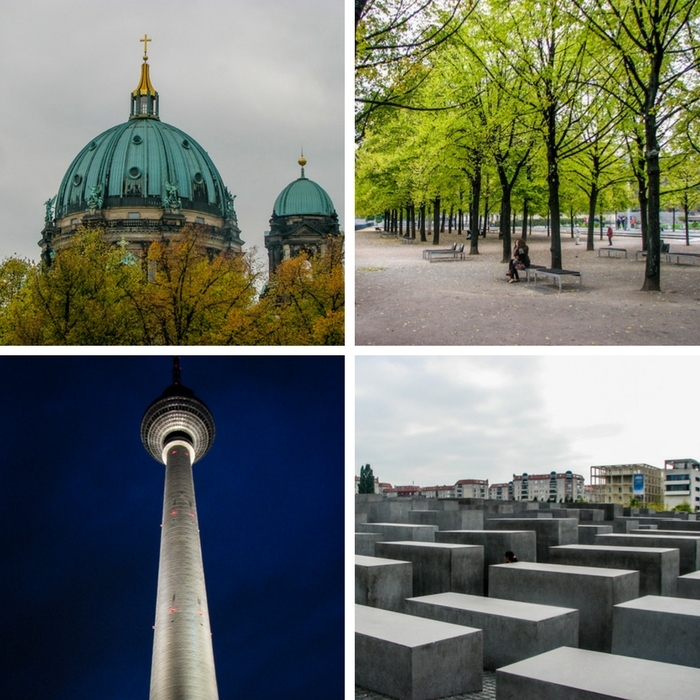 Visit a bunch of great museums on Museum Island, take a ride up the Berlin TV Tower for views of the city and see some of the remain parts of the Berlin wall, including the section that’s been converted into an outdoor art gallery, East Side Gallery. TV Tower – take in the views, without the queues. Hop-on-Hop-off Bus – see it all in a day. Walking Tour – discover the secrets of Berlin with a local. 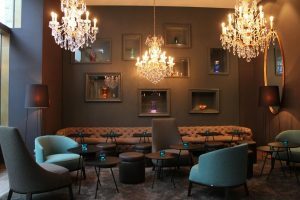 Located just off Berlin’s most popular shopping area, this hotel offers stylish, air conditioned rooms as well as a trendy lounge and free WiFi. These modern apartments are situated in Berlin’s trendy Mitte district. All feature a spacious living/sleeping area, a flat-screen TV, free Wi-Fi and well-equipped kitchens. 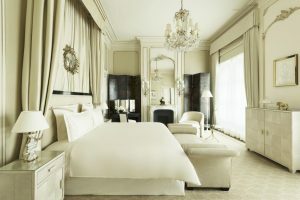 Ideally located on Berlin’s Gendarmenmarkt Square, this classical-style, 5-star hotel offers Michelin-star cuisine, exclusive spa facilities, soundproofed rooms and free Wi-Fi. You’re in Germany so a giant schnitzel or a pork knuckle is a must. For some street food try the currywurst which is basically sausages with curry sauce. Berlin is a very multicultural city so you will find food from just about every country in the world represented across the city. Berlin to Prague trains run direct and takes less than 5 hours. Avoid the craziness of Charles Bridge with an early morning stroll. 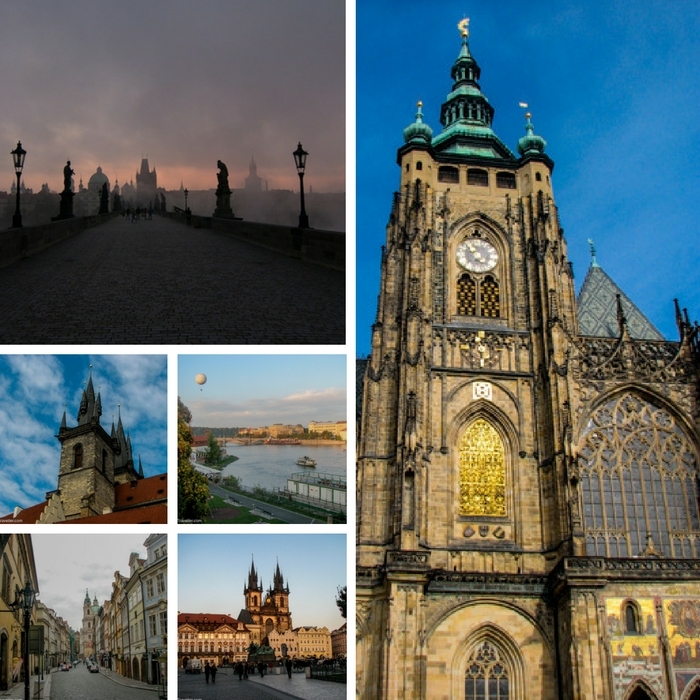 Visit Prague Castle to step back in time and for views of the hundred spires across the city. Wander the old town cobblestone streets. Watch the Astronomical clock do it’s thing in the Old Town Square. Prague Castle – tour the castle and its many attractions with an expert guide. Jewish Quarter – a guided walk with a local around this interesting district of Prague. Beer & Traditional Dinner – enjoy local Czech beer and food on this group tour. 10 minutes walk form the centre of Prague. Free wi-fi, on-site shared kitchen and guest seating area. Rooms are basic and come with either private or shared bathroom. Away from the crowds but still an easy walk to the centre of town with lots of restaurants close by. Complimentary breakfast daily, rain showers and comfortable rooms. 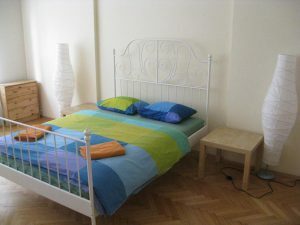 Located in the Old Town with views of Prague Castle, Charles Bridge and the river. Luxury rooms and facilities complimented with on-site spa, and housed in a heritage building. Food in Prague is cheap if you stay away from the main tourist areas. Wander down the back streets to find traditional restaurants selling hearty goulash with dumplings and fish soup to help warm you up on a cold day. Try some local pork sausages with a typical accompaniment of sauerkraut. And wash it all down with some of the best beers in the world. Prague to Salzburg takes about six hours by train with one change in Linz. Get your Sound of Music on with a tour of this famous movies filming locations. Walk around the old town checking out some of the best examples of Baroque architecture in the world. Dance around the Pegasus Fountain (Sound of Music reference) in the beautiful Mirabell Gardens. Enjoy the incredible views from Hohensalzburg Fortress. And learn more about the genius that was Mozart at his once birthplace which is now a museum. 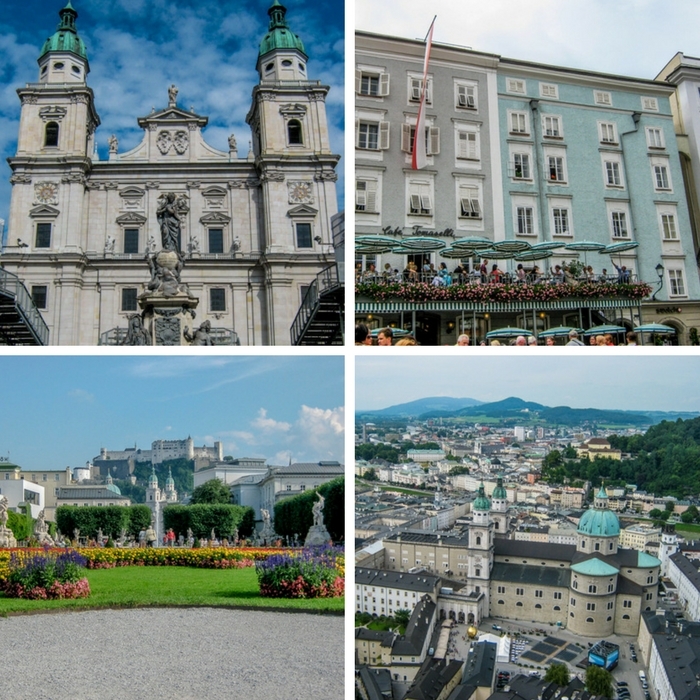 Original Sound of Music Tour – not to be missed when in Salzburg. Hallstatt Tour – enjoy a half-day tour to this picture perfect part of Austria. Featuring free WiFi and parking, this family-run pension is located in the centre of Salzburg, only a 10-minute walk from the Old Town. Rooms are equipped with a flat-screen TV, private bathroom and some feature a seating area. 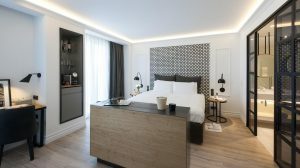 Set in a Baroque building in the centre of Salzburg just five minute walk from Mirabell Palace and Gardens. Rooms are simply furnished, have an en-suite bathroom, and free WiFi. 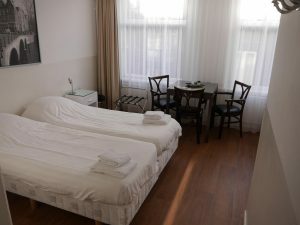 Situated in the famous Getreidegasse in the Old Town, only a few steps away from Mozart’s Birthplace. 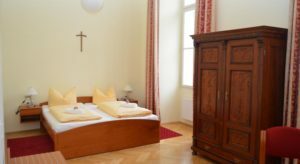 Rooms are furnished in a classic Austrian style and equipped with antiques and handmade furniture. Similar cuisine to that of neighbouring country Germany. You’ll find big schnitzels, hearty pork knuckles with sauerkraut and traditional soups in the winter. For something sweet try a strudel or the national favourite, Nockerl. Salzburg to Venice can be done on an overnight train taking seven hours or during the day with one change in Villach taking around six hours. 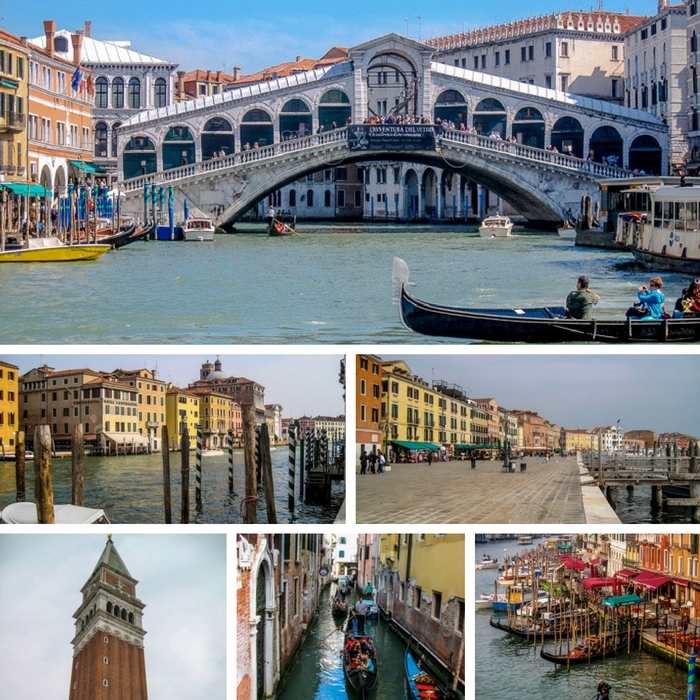 Whether it’s in a gondola or vaperetto, you must take a ride on the famous canals of Venice. Get lost wandering the winding cobblestone streets. Spend some time taking in the atmosphere of St Mark’s Square, watching the people and the pigeons. Explore some of the outer islands of Burano, Murano or Lido to see a different side of Venice. St Mark’s Basilica – skip the line! Venetian Lagoon Tour – visit the islands of Murano, Burano and Torcello. Located just steps from St Marks Square. 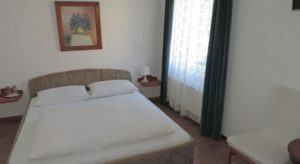 This hotel offers free wi-fi, basic yet comfortable air conditioned rooms and the choice of shared or private bathroom. 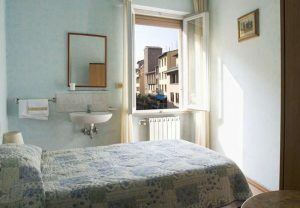 5 minutes walk to St Marks Square with some rooms overlooking the canal and others with views of the quiet courtyard. 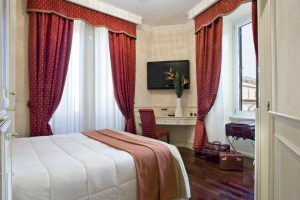 Rooms are decorated in typical Venetian style and are well appointed and comfortable. 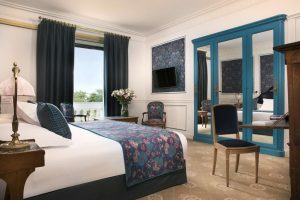 This Luxury Collection Hotel features spacious and comfortable rooms with Italian marble bathrooms and plush furnishings and an onsite restaurant with panoramic views. 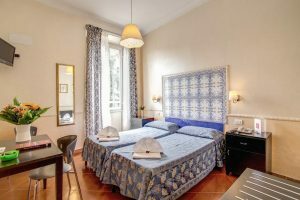 Located 200m from St Marks Square. Unfortunately Venice is touristy and overpriced when it comes to food. Try to stay off the main tourist trail and get lost in the back streets to find traditional tavernas serving Italian food of pizzas, pastas and antipasto plates of cured meats. And don’t forget to finish every meal with a gelato! Venice to Rome takes around three and a half hours by direct train with almost hourly departures. 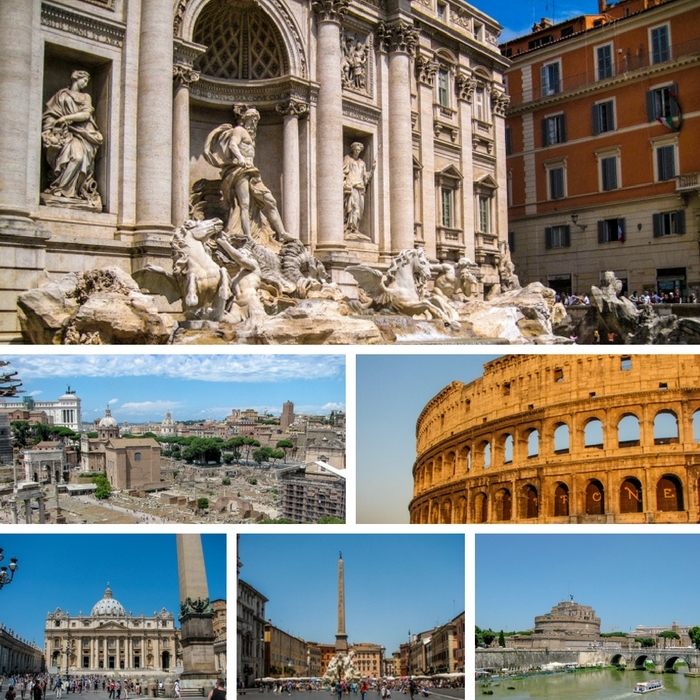 Get a taste of Roman life in the centre of one of Europe’s biggest cities at the Colosseum and Roman Forum. Visit the inspiring and ancient Pantheon. Spend time in some of the city’s best public spaces like the Spanish Steps, Campo de Fiori and Piazza Navona. Visit another country, Vatican City, to see some of the worlds most incredible masterpieces and get the chance to come face to face with the Pope. And of course you must throw a coin in the Trevi Fountain so you can one day return to Rome. Vatican Museums & Sistine Chapel -skip the queues with fast-track entry. Cooking Class – step into Mamma’s kitchen for an authentic Italian cooking class. Located in the heart of the old town making it easy to walk to all the important historic sites. Rooms are basic, each with a private bathroom. Walk everywhere from this old town location. 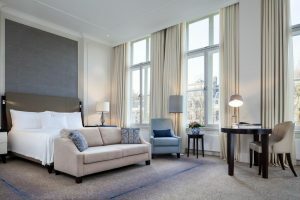 Rooms have either a garden or city view and some have acity area to relax after a busy day. 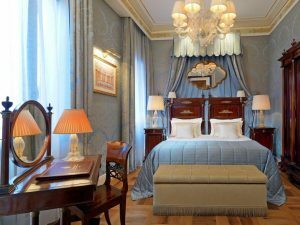 Just steps away from the Piazza Navona, enjoy luxury treats like bathrobes and slippers in these exquisitely decorated and well appointed rooms. You are in Italy so that means pizza, pasta, fresh salads and antipasto. Get off the main tourist drag to find the authentic tavernas, restaurants and cafes. Although the Italians are not huge on dessert, a slice of tiramisu or a canoli is a must. And eating gelato at least once a day is mandatory! Rome to Florence takes just one and a half hours with services departing a few times every hour. Art is the biggest drawcard in Florence and you can see some of the worlds best at the Uffitzi Gallery including the famous Statue of David. Check out the massive Duomo which dominates the square it sits on. Walk over one of Europe’s most atmospheric bridges, Pont Vechhio. And shop for leather goods in the Mercato Centrale. Accademia Gallery – see Michelangelo’s David without having to queue. Tuscany Day Trip – visit San Gimignano, Siena and the Chianti wine region on this full day trip into the Tuscan countryside. 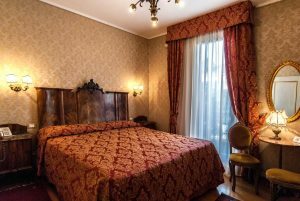 Steps away from the popular Uffizi Gallery and walking distance to all other Florence attractions. Rooms are clean but basic, some with shared facilities. Great location in the heart of Florence. 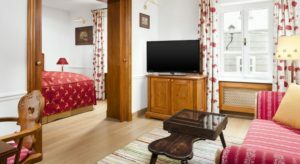 Rooms are air-conditioned with free wi-fi and comfortable furnishings. On-site bar tops it all off! Beautifully appointed hotel right on the river. Easy walk to all that Florence has to offer. Luxurious bathrooms and in room coffee machine makes this an excellent choice. As with Venice and Rome, pizza and pasta will dominate the menus. A specialty of the region is steak, specifically Florentine t-bone steak which is cooked to perfection. I guarantee it will be the best steak you’ve ever had! Florence to Nice can take up to seven hours by train with two changes required in Genova or Milan and Ventimiglia. 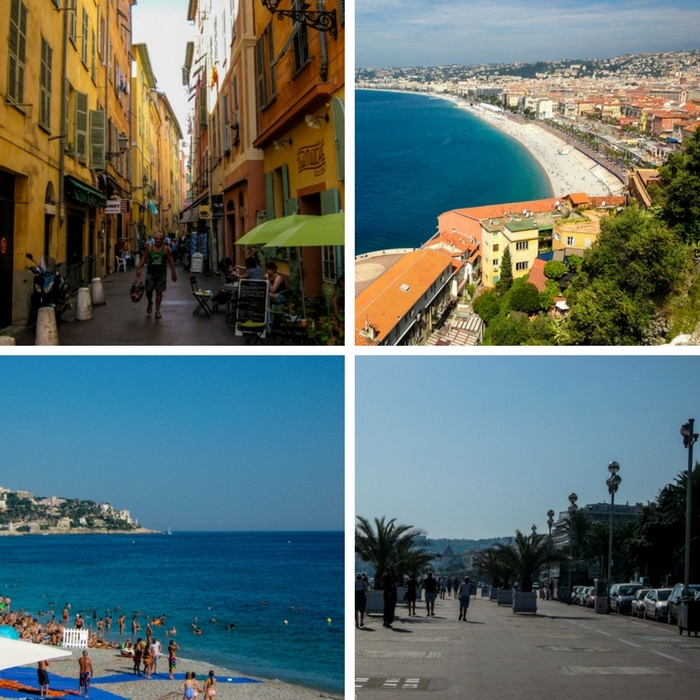 Take a walk along the Promenade des Anglais on the water front. Explore the winding lanes of the old town looking for tiny cafes and bars. Enjoy the Mediterranean waters with a swim. Take a train to Cannes to see where the rich and famous come to play for the yearly film festival. Or head to the tiny country of Monaco to mingle with the wealthy at Monte Carlo Casino. Monaco & Monte Carlo – an evening tour of one of the world’s smallest principalities. Ferrari Driving – indulge in this once-in-a-lifetime experience driving a Ferrari along the French Riviera. 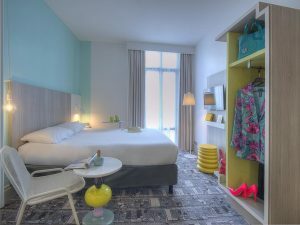 This colourful hotel is basic yet comfortable and it is located an easy walk to everything that Nice offers. Free wi-fi, breakfast and access to a lovely patio are all included. Just minutes walk to the beach, this lovely beach style hotel is well equipped with everything you would expect from an Ibis hotel.Free wi-fi is available in room. Across from the beach, this famous hotel provides luxury rooms and facilities to match. Free wi-fi, four poster beds and on-site fitness centre make this a comfortable choice. You’re on the sea so seafood is fresh and at its best. Dine near the port for restaurants serving the freshest catches. Lots of fresh produce is used in fresh salads and dishes with a distinct Mediterranean flavour. Fish stew is the must try dish and don’t miss out on trying the world-famous Nicoise salad. Nice to Barcelona by train takes around eight hours with two changes required in Marseille and Montpellier. Take a long stroll down Las Ramblas to be entertained by street performers and lots of people watching opportunities. 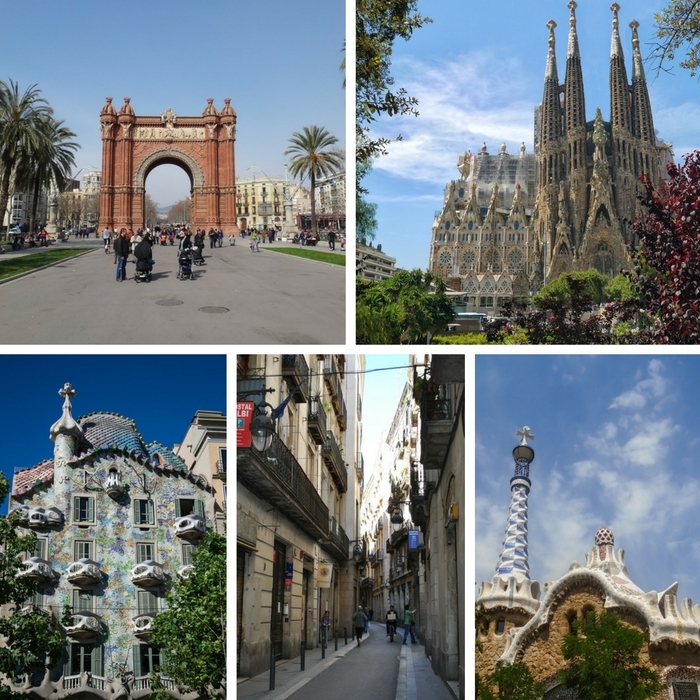 Check out the mark left on the city by Gaudi at Sangrada Familia, Park Guell and Casa Batllo. Wander the Gothic quarter to see some of the city’s best Gothic architecture. Sagrada Familia – beat the queues with fast-track tickets. Hop-on-Hop-off Bus – see it all in 1 or 2 days. Steps from Las Ramblas. Rooms are air-conditioned and come with free wi-fi. There is an onsite restaurant where the complimentary daily breakfast is served. 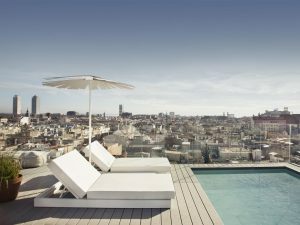 Rooftop terrace with pool and stunning 360 degree views make this one of the best options for central Barcelona accommodation. 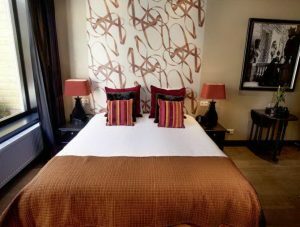 Located right in the heart of the Gothic Quarter. Inside this hotel you will find a 1 Michelin starred restaurant and a rooftop infinity pool, giving you plenty of relaxation options. For a meal shared with friends, find a small tapas bar to enjoy small plates of food including freshly cut jamon, creamy croquettes, fresh seafood like sardines and bite sized omelette. For a bigger meal try the seafood paella, a rice dish cooked in one pan and topped with fresh seafood and meat. For sweets you can’t go past churros, a sugar or cinnamon coated long doughnut. What is top of your list of places to visit in Europe? 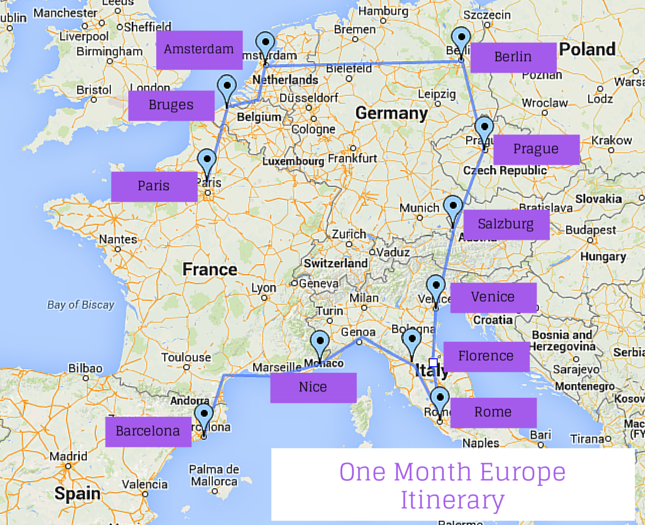 What would you add to this one month Europe itinerary for your own trip? It’s only when you start planning a trip in Europe, you realise just how many countries and places to see there are! This is about as comprehensive a list as its going to get, but the one main omission is London, which would be a good place to perhaps start, and then get the train through to Paris after a few days. Thanks Dave. I agree London is a great place to start but in this case I omitted it because having spent so much time in the UK, I believe London and the UK deserve another trip altogether. I have more itineraries which can be found on this page. Hope this helps you plan your perfect trip! Where do I sign up? 🙂 This sounds fantastic! And I like how you have the train as the transportation so the countryside can be seen too! Thanks Gretta! The train is definitely the way to travel whenever possible I think. Great list! We’ve been travelling in Europe for the last 2 months (for the first time) and it’s a pretty daunting place to plan for. We started in London then few to Romania and are now in the Greek islands. Our favourite places so far have probably been Budapest, Transylvania and Santorini. Santorini is amazing isn’t it! Hope you continue to enjoy your European adventures. For a break from cities, it might be worth venturing in to the mountains for an activity break. You can get to the Ecrins National Park and the Southern french Alps really easily on the train from Marseille and have access to a full range of activities from skiing, snowshoeing, husky sledding, sleeping in an igloo in the winter to canyoning, via ferrata, rock climbing, white water rafting, paragliding, walking, biking etc in the summer. Thanks Sally. There are tons of great areas like this throughout Europe. If you have more than a month I would definitely suggest visiting a few of them. Wow just looking through this is making me excited! I’m planning a month long trip to Europe for 2016 and this has been so helpful! Thank you! I just wanted to know, how much was the budget for this? Thank you! Hi Angela. So glad you found this useful. This trip can be done on any budget you just need to make some alterations to the type of accommodation, where you eat and what you see in each place. If you’ve got a small budget then stay in hostels or even try couch surfing, eat bigger meals at lunch time when it’s cheaper and shop in supermarkets and for activities there are lots of free walking tours in Europe and museums generally have a free day each month too. Happy planning! May I ask how much was your spending for this trip? This isn’t a trip I have done all at once myself. I’ve done it in bits and pieces. The budget for this would be entirely up to your personal choice depending on the type of accommodation you choose, the places you eat and what you see along the way. A good ball park figure for a budget to moderate traveller is around $100 a day. This will get you a dorm bed in a hostel, transport, simple meals and entrance to a few attractions. I was wondering the same thing. Thanks for this! Though my fiance and I are going to use this trip itinerary (with a few tweeks here and there) for our honeymoon. My question is, what if we dont want to share a hostel? Being a honeymoon and all, privacy would be nice but we also dont want to spend a bunch of money. We’re doing this on as much of a budget as possible. 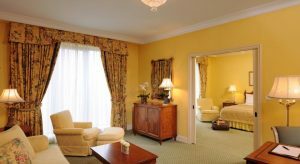 Any suggestions on where to look, or would the “moderate” level hotels you listed be the the best choice? Congrats on the upcoming nuptials You must be very excited! 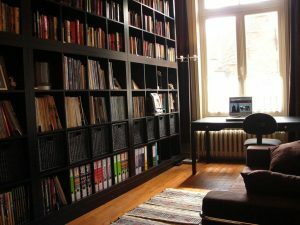 Hostels have fantastic private rooms as well as dorms and they are very affordable, usually cheaper than most budget hotels. Some have private bathrooms, others you will be sharing facilities, so shop around until you find exactly what you are after. If you would like some specific recommendations based on where you are going I would be happy to help. Just email me at jen@thetrustedtraveller.com. Hope you have a great honeymoon! I love this!!! I am planning to do a Europe trip for a few weeks in the fall so this is awesome. I will use this for future reference! THanks Holly. Glad this has been of some help and I hope you really have a great time in Europe. I love this! My husband and I are planning a 7 week trip in Europe for the fall 2015 (2 weeks in the British Isles and 5 weeks on the continent). Your itinerary includes most places we were planning to visit on the continent, so we will definitely use a big chunk of it! I’m 39 and it is my first time ever in Europe (I’m Canadian), so I planned a pretty good budget for it, enough to include a Eurail pass. The only changes I would make is stopping in Geneve to visit a friend, and skipping Spain to spend more time in France (400 years ago, my ancestors came to Canada from France! And French is my first language). Oh and we will make it to Danemark, as my husband has relatives there. The amount you spend on this itinerary will depend entirely on your level of comfort for transport, accommodation and food. I’d be happy to talk about this more with you via email (thetrustedtraveller@gmail.com) at any time. Thanks for getting in touch and I am glad you found the itinerary useful. 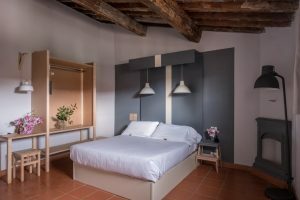 If you are planning to follow this exact itinerary staying in hostels dorm rooms, I would say accommodation will set you back around 15 Euros a night so around 450 Euros for the month. Other costs you will encounter are food and sightseeing. If you shop in supermarkets and cook in the hostels you could save a ton on eating out. The cost of sightseeing will depend on what you want to see and do. I have lots of posts throughout this website on all of the places mentioned in this itinerary that outline what the sights cost for entry. As for the bus, yes that would be the most cost effective way to travel but it is also the slowest so you need to weigh up whether you would prefer quality time in places or cheaper prices. I hope this helps and do get in touch should you have any follow up questions. Hi Charlotte! Thanks so much for reading my itinerary. I am so impressed that you have these dreams and I really hope you get to live them out in 2018. 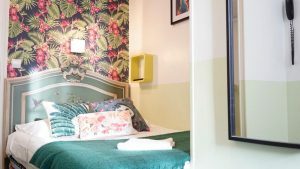 The cost will depend entirely on what type of accommodation you plan to stay in, whether you’d be eating out the whole time or cooking for yourself sometimes and how many paying attractions you would visit. Also what type of transport you’d be taking. The cheapest way to do it would be staying in dorms in hostels, cooking say 50% of your meals, travelling by bus and only doing one or two of the paid attractions in each place. For that I think £1500 for transport and accommodation would be sufficient and then add another £20 a night for accommodation, £20-30 for food per day and £20-30 per place for attractions. Hello, my husband and me along with our son are planning Europe trip at end of April 2016 for the first time. We are middle aged and big nature lover, rather mountain lover, to be specific. Hence we would like to avail the scenic train routes of eurail and other regional trains as far as practicable to explore the countryside and of course, would like to include Switzerland (Bernina Express/ Glacier Express) by reducing time for other cities. Can you please guide us? Thanks for your comment. Your trip sounds wonderful. We don’t have too much experience exploring the mountains and nature of Switzerland as we have taking in mostly the cities so far (would love to in the future though). We did do one scenic train from INterlaken to Lucerne called the Golden Line which was amazing. I have heard that the ones you mentioned are even better, so you are on the right track there. This website (https://www.rhb.ch/en/panoramic-trains) has tons of good info on those two trains you mentioned including good route maps. If you have any more specific questions, please feel free to email me (thetrustedtraveller@gmail.com) at any time and I’ll be happy to help. Hello, I have the possibility of going to Europe soon, if I go forward with it, it would be in January. The idea is to go for a full month, on my own. I am 19 and I’d like to have an idea on the budget I’d need for this. Also, I’d like to know what other things I can do, removing some of the cities you name in this itinerary (Bruges, Berlin, Salzburg), since I’d have more days in each of the remaining cities. Thank you in advance, Juan. Budget will depend entirely on what type of accommodation you choose to stay in, how you choose to eat meals, the mode of transport you choose and how many paying sights you visit. Feel free to email me (thetrustedtraveller@gmail.com) with more specifics and I’ll be happy to help you out with budget. As for more things to see and do in the cities you will be visiting, check out these posts which provide you with info on everything i recommend. This is an awesome itinerary and this will help me in march on my 1 month trip to europe.. probably ill start in amsterdam and last stop is italy.. thank you so much!! My pleasure Jvista. So glad I could help and have a great trip. I really enjoyed your article, I found it very helpful. I’m planning to travel Europe next year for a month however I have not decided which month would be best to go. When do you think I should go, I was thinking May but I’m not 100% sure. Hey! May is a great time of year because the weather is generally fine and the crowds haven’t quite descended on the region yet. Equally good is September/October. The summer crowds are gone and the weather is still comfortable. Hope this helps. HI Jen, do you think this itinerary would work in December-January? I know it’s cold, but it’s our long summer break in NZ. No problems at all with travelling Europe in winter. It is just a different experience. Everything will be open as usual and you’ll get to visit the Christmas Markets as well. This article was wonderfully helpful! Are the days listed including the arrival / departure date? Thanks so much Seleena. I am glad it is of help to you. With 4 days in Paris at the beginning and 3 in Barcelona at the end, there is definitely room to arrive and depart within this itinerary. However If you have the time I would suggest at least arriving the day before or early on the first day to make the most of your time. Hope this helps and don’t hesitate to contact me if you have any other questions. I enjoyed reading your list. I’m planning a trip to South of France, Italy (Pisa, Amalfi Coast) & Greece. This will be my retirement 1-time-in-a-lifetime trip to Europe. This has been my goal for over 10 years now. I’ll do it by car cause I’m a photography fanatic and just have to be by the ocean. I love the notes on Pisa & Florence. My dream is to “get lost” in Toscani, traveling to every hidden place and every little town I can find, I want to meet the people get to know the culture and learn their cooking and music…. I’m traveling with no return date. And I want to own my time, the places I want to stop to take pix and the places I want to stay just cause. So any recommendations on Toscani and the Amalfi coast will be greatly appreciate it. I’m looking for good places to stay and eat that are nice but don’t break my budget. Also, what would you recommend, a Spring or autumn trip? I have subscribed to you page and hope to get lots of info I can use. Thank you so much. Thanks so much for getting in touch. Your trip really does sound amazing and once in a lifetime. In Tuscany we recommend visiting Siena and San Gimignano at the very least. Siena is one of the largest towns in Tuscany but it has lovely winding cobblestone lanes, beautiful architecture (check out the main square) and great atmosphere. It also get quieter in the evening and early morning when there are no day trippers there. San Gimignano is much smaller and is the town on the hill with the iconic towers. Its a lovely place to wander around for a day. On the Amalfi Coast we recommend staying in Sorrento. 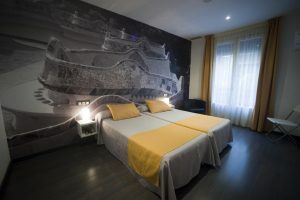 It is much cheaper than the towns on the Amalfi Coast but is still easily accessible. From Sorrento you can drive along to the Amalfi Coast or do what we did and take a ferry hopping on and off whenever you see something you like. From Sorrento you can also access the Isle of Capri. At night join the locals as the walk off their meals. the main street of Sorrento is closed to traffic in the evening and the locals parade up and down chatting to their friends and family. It a really night laid back tradition. In the town of Amalfi right on the waterfront was a really nice little pizza place which we loved and had the best pizza we’d had in all of Italy. Sorry I don’t recall the name. As for other places to eat in both areas, we are not good a remembering to get the names of the places we enjoyed. Both Spring and Autumn are good times to travel in Europe. There is less people and the weather is generally fine with sunny mild days and cool nights. If you want to avoid the heat I would visit in Autumn after summer but if you’d prefer to avoid the cold then I’d suggest Spring. I hope this helps and if you have any more questions please feel free to email us (thetrustedtraveller@gmail.com) and we’d be happy to help. Thanks, I am so glad you found this useful. Train tickets are sold either point to point or in passes which give you a certain number of days travel. It will depend on how many travel days you have within your two weeks as to whether the point to point or pass would be cheaper. If you’d like to email me (thetrustedtraveller@gmail.com) with the country you live in I can point you in the right direction for checking exact prices. Unfortunately each country will have a different booking site. I am from Southeast Asia and I’ve been planning a Euro trip in 2017. I am so glad I came across this article as I don’t have a concrete plan yet as to my starting point! Thanks for this, I will use this as my guide. Cheers! Thanks so much Love! I am so glad this itinerary will be helpful for you. Please feel free to email us if you need any travel planning assistance. I am planning my senior trip to Europe, so stumbling across this article is a life saver. I was going to go on this trip with little notion of what to expect, due to none of my immediate contacts have ever traveled in Europe for an extended time. But, now that I have found this, I will be planning my trip around your outline- thank you! am so glad that you have found our itinerary useful Meghan and that you have chosen to take your senior trip in Europe. I hope you have an amazing time and don’t hesitate to email us if you have any questions as you are planning. I think this is an excellent guide for first-timer. I’d personally add the Switzerland alps into the list or one of the towns like Lucerne. Maybe London too. But other than that this would make a great introductory itinerary. Thanks Andrew. Totally agree, London and Lucerne would both may excellent additional to this itinerary. After Prague we are unsure of where to go. We are finishing our trip and flying out of Paris. We are thinking of either going to Venice and then getting a scenic train (or trains) through swiss alps to paris. Or going from Prague to Stuttgart for the Cannstatter Volksfest beer festival. Do you have any suggestions on what would be a better option? Also do you think we are better off purchasing a rail pass or would it be better to book each trip individually? Thanks so much and glad you found the itinerary useful. Your itinerary looks good. How long were you planning to spend in each place? I like the idea of going to Venice and then getting the scenic train, the outlook is incredible. I have also heard good things about the beerfest in Stuttgart so it is a tough one to decide on. Another alternative would be taking a train to Salzburg for a night or two and then to Lucerne in Switerland and then onto Paris. As for tickets, you would need to look it up closer when tickets are available. Depending on how many segments you are travelling will depend on what is cheaper. Usually point to point is cheaper but don’t forget that if you are travelling on high speed trains you need to factor in the seat reservation costs too. Use the links I provided in the post above to cheap prices closer to your departure. Thank you Jen for your wonderful itinerary and travel advice. We followed most of the itinerary minus Bruges and Nice but with the added stop of Madrid for 3 nights. Everything went perfectly and for first time visitors to Europe it was a fantastic introduction. We can’t wait to go back ! Thanks Tony. That is fantastic to hear! Europe is so addictive and there is plenty to see so lots of excuses to keep going back. 1) We are from Canada, so where do you advise us to start the trip from? 2) also I was hoping to go to Switzerland and Austria, would these be possible options and can we use the same train ticket passes to go there? That’s so exciting Rose! There is no time like the present. You could start your trip from any of the cities mentioned in the itinerary. I’d suggest checking out the best flight deals from your nearest international airport to each of them to see what the best option would be. As for adding Switzerland and Austria, that could definitely work. Salzburg is included in the itinerary already but you could add Vienna if you liked also. In Switzerland I suggest Interlaken, it is amazing! Both are included in the pass, but with Switzerland it only includes the normal trains (not scenic trains). Hope this has been of help to you and don’t hesitate to email me if you have any follow up questions (jen@thetrustedtraveller.com). Many thanks Jen!! You are amazing and I’ll follow your advises. These are such great recommendations Jen. I plan to travel to Europe and this is my first time. I have just 2 weeks time off from my work in India, and I like to go slow and not cramp my travel with many countries to visit. Maybe just go to a place or two and spend time there and soak in the countries/cities. Which are the 1 or 2 or 3 places that you would suggest I go to, in the two weeks i have? I love countryside, nature, hills, valleys, mountains, river, sea, beach. 🙂 City-life does not excite me much! Thanks for your comment and so glad you found these recommendations useful. If you love mountains and nature then I’d suggest visiting Switzerland and Italy. Both are loaded with stunning landscapes with lots of opportunity for mountain hikes and/or scenic train rides. I can recommend visiting Interlaken in Switzerland and taking the Golden Line Scenic Train or similar towards Italy. In Italy I think Tuscany is stunning, lots of rolling hills and small hill towns. 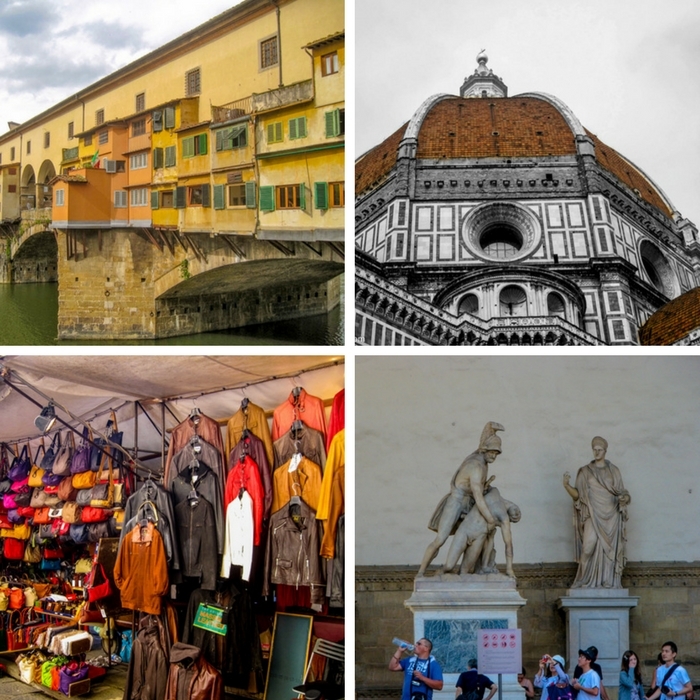 You could base yourself in Florence for Tuscany and day trip from there. Also Cinque Terre is great if you like walking and beaches. I am so glad I came across this. I was looking for my son who is planning a month this summer after college. After reading your article I believe it is time to take this trip with my husband. The information you provide is wonderful. Thank you! Excellent! So glad this inspired you to travel yourself. I hope your son and you and your husband enjoy Europe! Hi! my best friend and I are headed for a month in Europe January of 2017. All of our housing is taken care of, because we have friends who live in different cities. We would absolutely like to go to Paris, London, Barcelona, Amsterdam, and Rome, possibly Greece to meet a friend if its possible. Any tips or insight on how we can better plan our trip? We are flying into Paris. You must be getting so excited for your trip! This itinerary is a great place to start with your planning. It has information on the using the trains and things to see and do in all the cities you mentioned. Because of the longer distances you will be travelling, you might be better flying most of the legs. If you are flying into Paris I would suggest taking the train to Amsterdam then London and then flying from London to Barcelona and another flight to Greece. This makes the most sense to me. Feel free to email me if you have any more specific questions and I would be happy to help. Hope you have the trip of a lifetime! Thanks for your message. Only high speed trains like the Eurostar, Thalys etc require a reservation. All other trains, usually slower services with more stops, can be reserved but don’t require it. You best bet would be to check with a rail booking agent in your country of origin. My wife and I are planning a trip to Europe in October this year for about 30 days and as it is our first time, I found your guide really helpful and am planning to follow it as per your recommendations. Many people I have spoken to about our upcoming trip keep saying not to cram too much in and to make sure we enjoy each place we visit without rushing around. Would you agree with their sentiments? Would you say this is one of those rushed trips where we could get burnt out, or does it provide ample time in these cities to enjoy and take in the sites, but also just relax? For a first time visit, Would you recommend a trip like this where we visit a number of countries, or would you recommend seeing about 4 countries and going deeper into each? So glad you have found this itinerary useful and that you will be visiting Europe for the first time. What I find makes people more burnt out is long travel days. That’s why when I put together this itinerary, I made sure that the travel time between each place wasn’t too long. This gives you more time to spend in each place and as we all know, travel days really do take it out of you. I always recommend at least 3 nights in a big city and at least 2 nights in a smaller city. This principal I have used in my itinerary. This will give you time to see the key sites that interest you the most but also allow you time to just wander and soak up the atmosphere. If you are planning to head back to Europe again sometime, narrowing the destinations down a little this trip will give you more time to explore each place in more depth and have some time to relax in between. But remember, whatever alterations you make to the itinerary, make sure that it doesn’t increase your travel days. Hope this helps and if you need any more help please don’t hesitate to reach out to me. Thanks for these insights Jen. Really helpful. If we were to go deeper into 4 countries over the 30 days, would an itinerary that has France, Spain, Portugal and Italy be advisable? Is Portugal worth travelling to for the first time (mindful that it is off the track as well). Would you have any recommended itineraries for these countries? How exciting! I hope you have an amazing time in Europe. If you can get cheap flights, that would be the cheapest way to go. Keep any eye on the budget airlines that fly that route, Vueling and EasyJet for sales. The next cheapest way will be by bus. You can use http://www.eurolines.com/en/. The bus will stop at lots of different places along the coast giving you more options. Hope this helps! This is something i have been searching for so long and ,looks like i landed on the perfect one. Do u also help in making the bookings? Hi Shuch, Glad this has helped. Unfortunately I am not a booking agent but you can find links throughout this post to website that I use and recommend to book your trip. Always happy to help with questions! European countries are amazing to visit. One needs to be careful as its not same as other countries. Nice article Europe First Time Traveler. So glad to could help Caroline. Enjoy your trip! Thanks for putting up such an amazing and helpful post. We are planning a Europe trip in June/July next year and this will definitely be the basis of our itinerary. We are planning a 5 week trip. Do you think we could possibly fit in Croatia and/or Greece? Any suggestions as to travel mode and where to slot it in would be greatly appreciated. Thanks, I am glad you found it useful. With an additional week, I would suggest picking just one, either Croatia or Greece. There is lots to see in both countries and so many incredible islands. Both are a little off the route of this itinerary so a flight would probably be the most time saving way to get there and with so many discount airlines in Europe, you’d be able to get it pretty cheap too. Adding it to the end or beginning of the trip makes sense to me. Thankyou for great article, you have inspired me to solo travel! I have booked plane tocket. Can you tell me does the eurorail pass take me to each countries city centre and are rhe hotels you recommend close to train stations? I am so happy to hear that I have inspired you! The main train station in most European cities is in the city centre or very close to it. This makes it super easy to get around. All of my accommodation recommendations for the cities in this itinerary are above in the post. I hope you have a fabulous trip! So I know it is soooo far away but I want to get this done right. I am currently in Europe (Stuttgart, DE) as an Au-Pair but I would like to travel at the end of my stay for a month. The problem is that it would have to be by mid-December and I know how traveling can get during that time specially if there is bad weather. So I was wondering if you could give some sort of tips. Plus, the trip I am planning is with my boyfriend who is currently in America and we both know nothing about Europe and the best ways to move around it. Can we still do the same places shown above during this time of the year? If we do some sort of this itinerary, what would be the best times to take the train? Because if I understood correctly there is another price if we were to take the night train right? I have never personally travelled in Europe during winter but I know many people do so I don’t think you will have any problems following this itinerary at that time of year. Train is defintiely still the best way to get around. It is quick and cost effective, plus it lands you right in the heart of each city. Not sure what you mean by the best times to take the train. However, I usually aim for a morning departure as it is just more convenient than having to find somewhere to store your bags during the day while you wait for your train. Night trains will ultimately cost you less because you won’t be paying for accommodation. However, most of this itinerary is shorter tips so it wouldn’t necessarily be possible to take a night train. I suggest night trains if you are traveling more than 8 hours at a time. Hope this helps and have a fab time in Europe! I am from Singapore and we are planning for a honeymoon trip albeit a short one of about 2 weeks. We have decided to include London, Paris, stopover for a day in disneyland. However we are undecided for a third place. Any suggestion for a scenic place with beautiful scenary of mountain and/or sea? I have shortlisted Austria and Switzerland. We are not intending to drive though. We will be going during winter time between dec to jan as we want to experience the xmas markets and vibes during the winter festive season! Switzerland would be a great choice and easy to get to from Paris on the train. You could split your time between the mountains and the city with maybe visiting Zurich, Lucerne and/or Interlaken. All are beautiful and have lots to offer. We probably would take the train from paris in to basel and from there to Zurich then to Lauterbrunnen. Can i check if during this season dec to jan if this plan is feasible? We will probably fly out from switzerland. Hi Jeff, Sounds like an awesome trip. I would suggest the itinerary above but maybe adding a few extra stops in between or adding some more time in Spain or a side trip over the Greece or Croatia. I’m planning two trips of a month each in March and July. Was thinking of covering the Mediterranean countries once and then the rest of Europe.. what do u think? Can u suggest any better ideas- would like to cover Greece, Croatia, Hungary, Italy, France, Spain and Portugal in one trip and Austria, Czech, Germany, Switzerland, Denmark, Netherlands, Belgium and the UK in the second trip. I think I am going to start in London, to to Scotland, Ireland, Northern Ireland, then around Europe a bit. I’ve already been to Paris and Amsterdam so I plan maybe 12 days in UK and 14 days in Germany, Prague, Italy and maybe Spain. A total of about 28 days not including travel to and from Europe. Thank goodness for the train system, it really works when so many countries are so close and compact. Sounds good. Just try not to pack too much in, otherwise you will need another holiday to get over the holiday. Thank you for posting this! I am in the beginning phase of preparing for a month-long Eurotrip next year. I have been so overwhelmed with information online until I stumbled across this post. Thank you so much!! I would like to avoid the massive tourist crowds and peak season pricing, would Sept or Oct be a good month to visit? Yes Sept/Oct is my preferred time of year to travel to Europe. The weather is good and the summer crowds are generally gone. Hi, my husband and I are planning to visit Europe for 30-days starting this November. This is gonna be our first time and your article is really a great help for us in planning this trip. Just want to check if we can squeeze in Switzerland in this itinerary and how; Appreciate your help! Glad this was useful for you. Depends on how long you plan to spend in Switzerland. You would need to remove a place or two from this suggested itinerary. It really depends on what interests you most.